G-Friend released a scheduler for their new comeback. It looks like G-Friend will continue to leave us with many question marks! In the comeback scheduler, a secret entity is set to be released on the day of the album's pre-order. Furthermore, unknown teasers will come your way from July 15th to the 18th, until its full release on July 19. 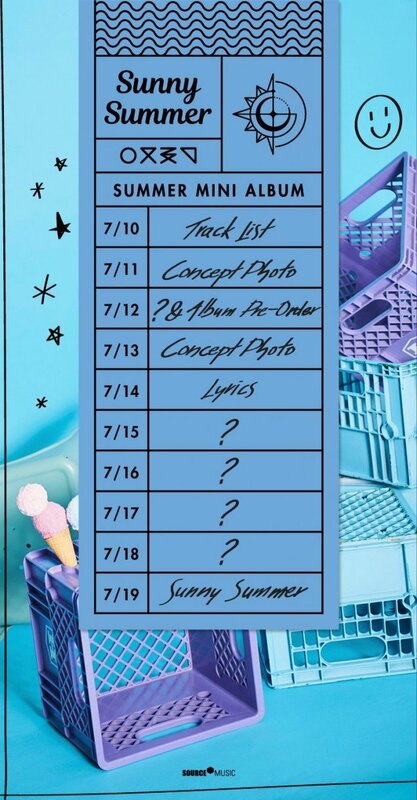 G-Friend's summer album 'Sunny Summer' will be out on July 19 at 6 PM. Stay tuned for updates!